In about 1111 AD a German bishop was taking a journey to Rome to visit the Pope. Travel was a little slower those days so there were may overnight stops at inns of variable quality. The wine available at those inns was also variable so the bishop sent one of his servants along ahead to suss out the ins with the best wine. In these rather relaxed days before email and selfie sticks a preferred method of communication was via chalk. So the servant would write EST! onto the doorway of inns where the wine was acceptable. 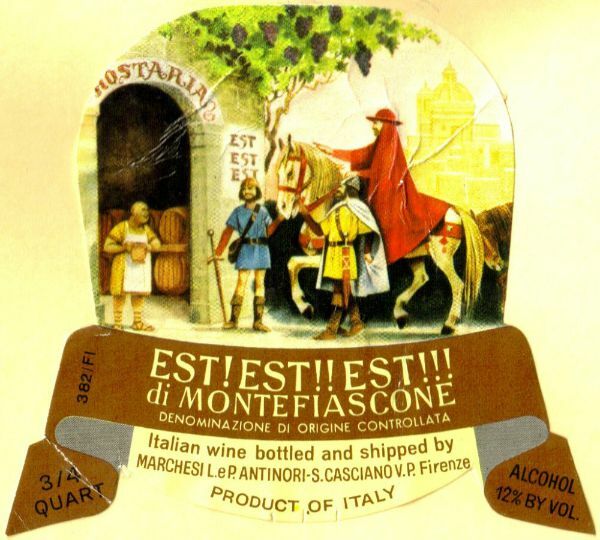 When the servant reached the village of Montefiascone he was most impressed with the wine so he wrote EST! EST!! EST!!! The bishop agreed with the assessment of the wine and didn’t bother continuing to Rome. A great story and probably at least partly true. Fast-forward nine centuries or so and people are still travelling to or through wine country. Not many of us have a chalk wielding servant to send ahead of us but we still need information. The big news for me is that I have just launched EST! Wine Tours, a new magazine on the Apple newsstand. 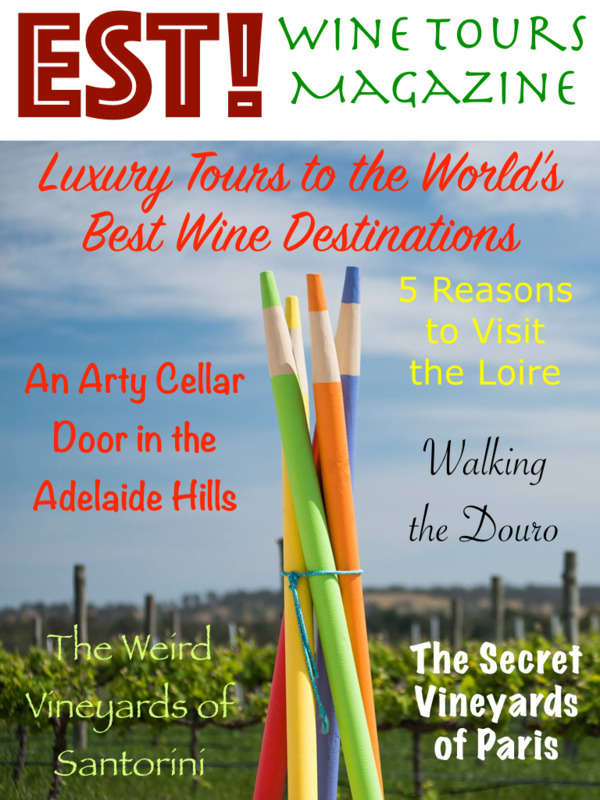 The magazine contains articles by regional wine travel experts. There are stories, images and videos. So even if you are just an armchair traveller there is something for you. A series of regional guides will follow over the next few months. Go to iTunes and you can download your copy. Please forward this email newsletter on to any friends who may be interested.